When pastry chef Kim Min-sun came up with the name for her dessert shop, L’Inconnu, she selected a word that best expressed her approach. “The name, ‘L’inconnu,’ comes from the way I see pastry,” said owner Kim, 31. “I don’t want to copy and paste the stuff that I learned in Paris. 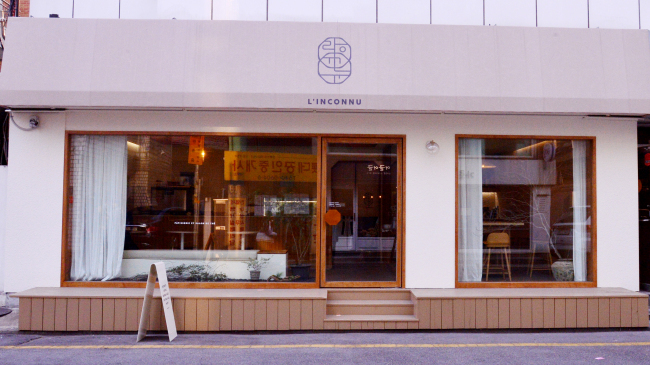 Less than two months into business in Sinsa-dong, Seoul, Kim is still experimenting, still exploring, which is why “l’inconnu,” which means “the unknown” in French, is so appropriate. At L’Inconnu, Kim challenges herself to go beyond what she has already learned and try something new. With that in mind, she takes her experiences studying French pastries and working in France to play with flavor combinations and ingredients to create desserts like her pumpkin seed Paris-Brest. “I changed up the hazelnuts and almonds with pumpkin seeds and some almonds,” she said in explaining how she created a luscious praline for her Paris-Brest using roasted and caramelized pumpkin seeds in lieu of the customary hazelnuts. She then combines that with a buttercream crafted with Italian meringue and a vanilla-infused custard cream. The resulting praline cream is swaddled by a wheel-shaped choux pastry that has been topped with a pumpkin seed crumble and roasted, salted pumpkin seeds. 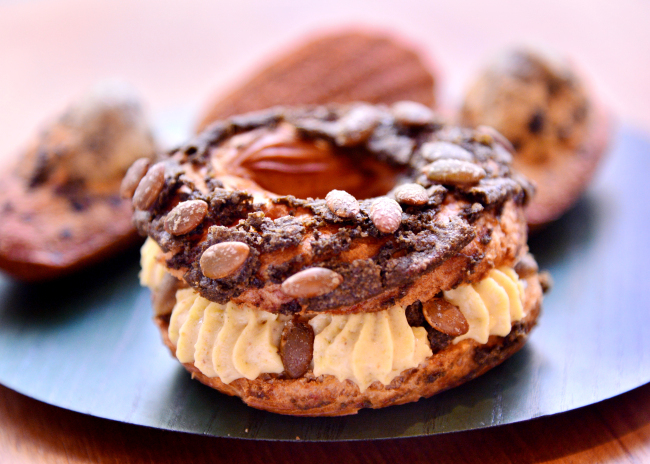 The crunch of the salty, nutty pumpkin seeds, the sweet crumble over airy choux and the silken pumpkin seed and almond praline cream, which tastes like butterscotch, make Kim’s pumpkin Paris-Brest a real standout. Kim does this again with her black sesame madeleines. “I toast and then grind them,” Kim said of the black sesame seeds that give the traditional French cakes an intensely nutty flavor. At L’Inconnu one will also find a Mont Blanc crafted from locally sourced chestnuts over a peanut meringue amped up with citron jelly and a recently released strawberry perilla leaf Sable Breton. These desserts, many of which incorporate ingredients used in Korean cuisine, are served in a space that also features Korean-inspired details. 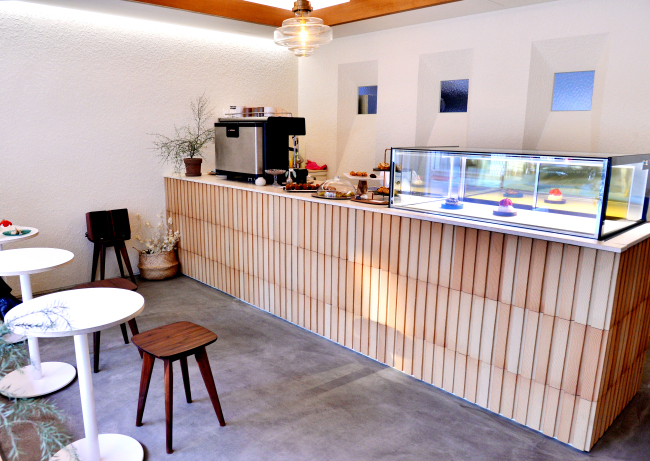 Kim says she was inspired by hanok, traditional Korean houses, for her shop, combining wood, earthenware tiles and a linen-like color palate for a peaceful and minimal atmosphere.